As you might be able to tell, I’m really into soup. If I’m being honest, I’m not a huge breakfast person, but I’m more than happy to have a cup of soup in the mornings, so I love having leftover soup on hand. 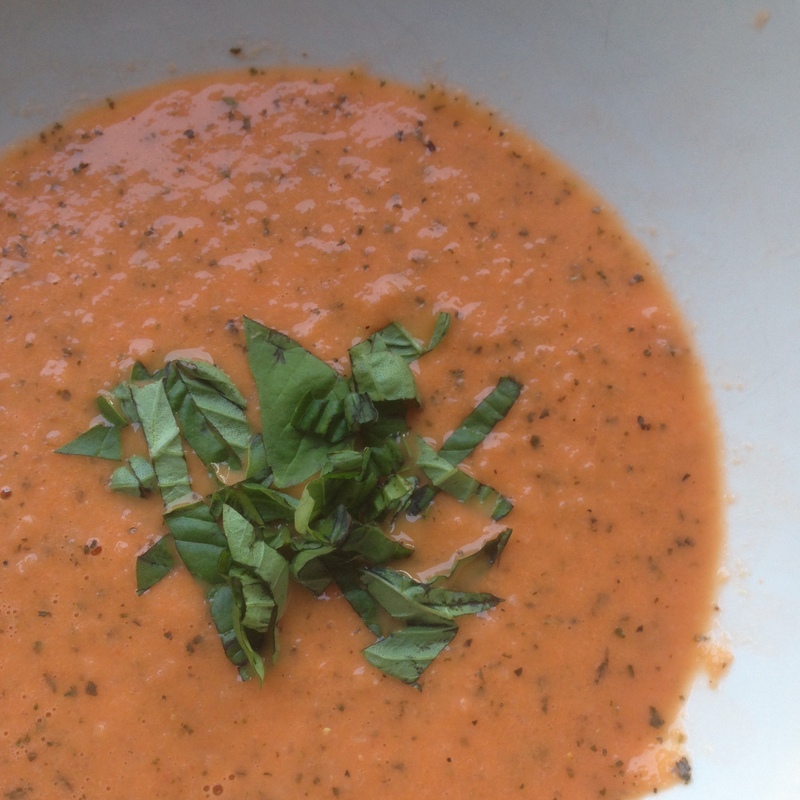 This week, I made this bisque, inspired by a recipe in the cookbook, Soup & Bread. It’s super easy and tastes great! Start by heating up your oil in a large stock pot. Once hot, add in your garlic and onion. Cook until tender. Add half of the basil, along with the cayenne pepper. 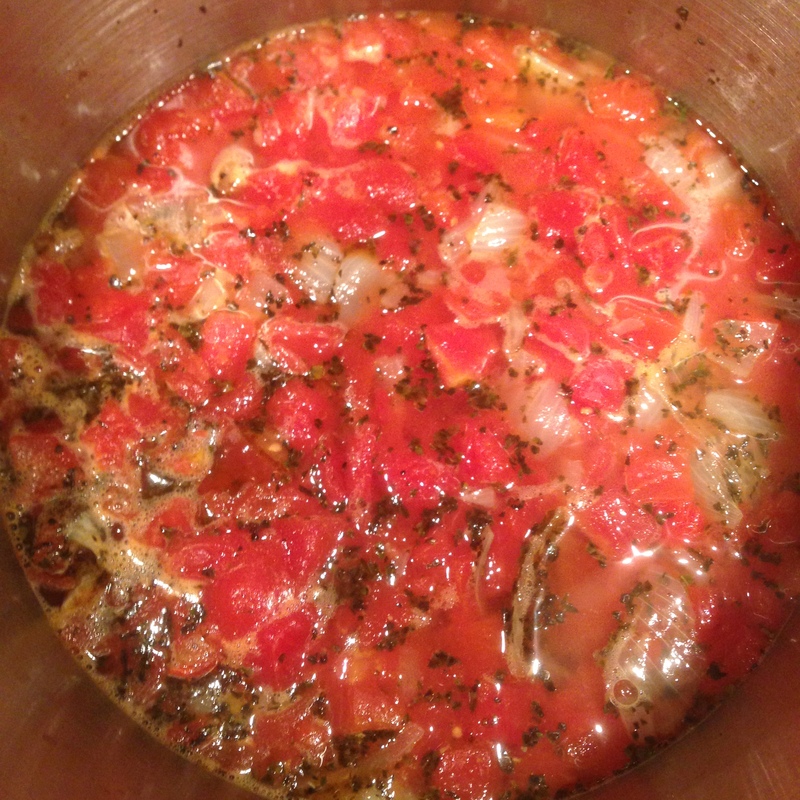 Add tomatoes and water and boil. Lower heat and simmer for 30 minutes. Remove from heat. Slice up your goat cheese and stir in until completely melted into the soup. Add the rest of the basil, along with salt and pepper. 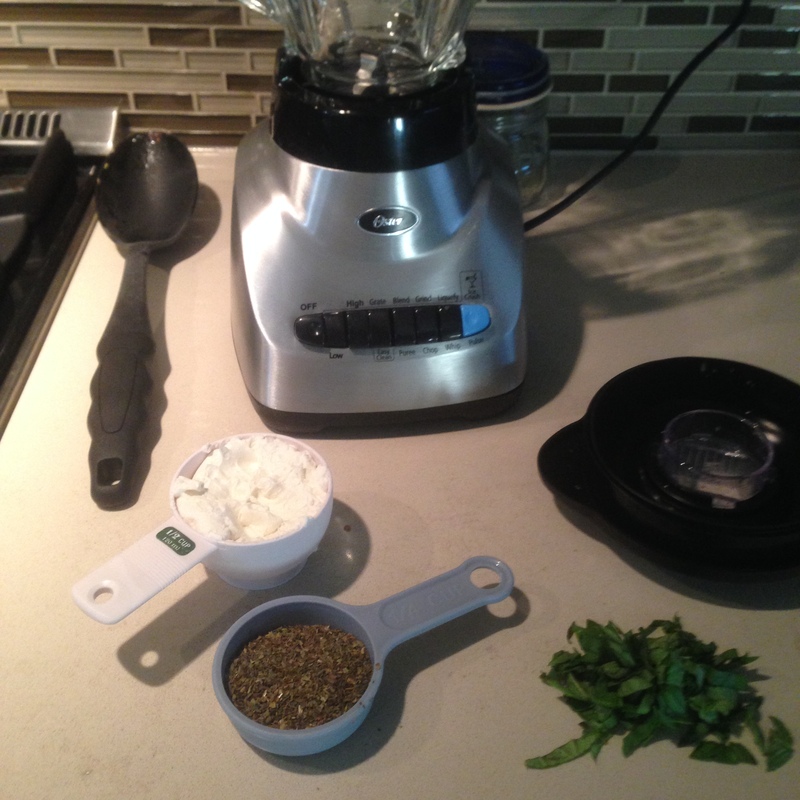 Using either an immersion blender or a normal stand blender in batches, puree the soup until smooth and creamy! Serve with the chopped fresh basil (chiffonade). This was so good. It’s rich, creamy, and super satisfying in rainy weather, like we’ve been having for the past few days! I’m super happy with how this turned out! I am greatly intrigued about how you can cook such beautiful dishes everyday and also post them here for us! you are inspiring…. and this soup looks delicious! infact all of your dishes. i havnt been able to comment on them them trust me i am following your kitchen everyday! Looks more like a sauce.. But good.. Something I’d eat! And I don’t like soup!